This Fair Trade coconut butter is made from the finest organic coconuts – and nothing else. It is produced without the use of any chemicals or high-heat processes. It’s perfect for using in the same way as a coconut oil for those who prefer a lighter coconut flavour and fragrance. 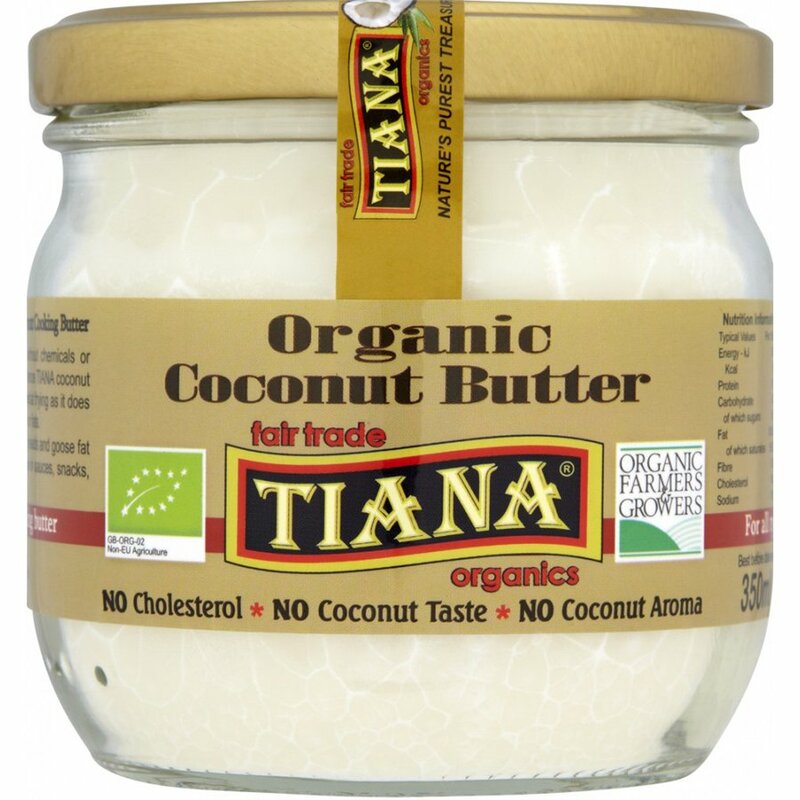 The Tiana Organic Coconut Butter - 350ml product ethics are indicated below. To learn more about these product ethics and to see related products, follow the links below. Best buy you can get. Quality butter for a cheap price and you only need a small amount for cooking and frying. It doesn't have cholesterol, so it's much better than the dairy butter. Perfect for my breakfast eggs. 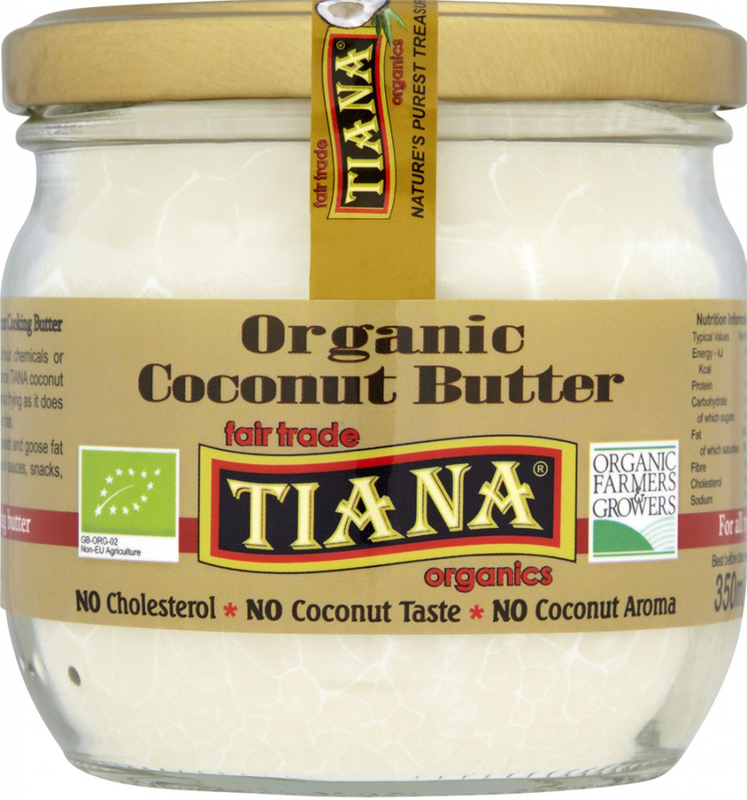 There are currently no questions to display about Tiana Organic Coconut Butter - 350ml. TIANA Fair Trade Organics Ltd is an established UK importer, manufacturer and supplier of premium quality, organic and Fair Trade products with over 20 years of experience. They produce products such as; coconut oils and butters, coconut water, coconut nectar, coconut flour, a selection of raw active honey and a unique beauty and hair range. All TIANA products are produced using 100% organic and fair trade certified ingredients. Their whole product range is made from Non Genetically Modified quality raw materials and contain no hydrogenated or trans-fats. They have their own production facility with tailored equipment built by the top UK, German and Italian manufacturers. This ensures that they can reliably provide high quality products with the most nutritional benefit. TIANA is committed to organic, fair trade and sustainable agriculture methods to guarantee a reliable supply chain from coconut farmer to consumer. Buying TIANA Fair Trade Certified products means that you will be contributing to the TIANA Fair Trade Project. This has been helping coconut farmers’ communities and local economies achieve a better life in the Philippines since 2009.